CARPE DIEL! If you&apos;ve been on the hunt for a deal close to Downtown Greenville, it&apos;s time to seize the opportunity without having to pay Downtown prices! 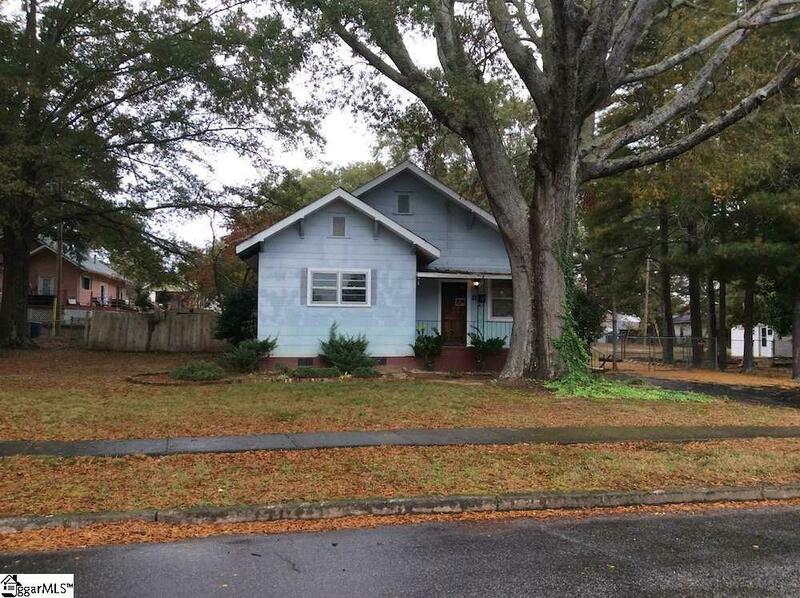 This 3 bedroom/1 bath home is located directly across from Monaghan Park, making the front porch an excellent place to enjoy your morning coffee. Inside, this fixer superiores is ready to be restored to it&apos;s former glory. There are original hardwood floors in the living room, dining room (under carpet), and two of the bedrooms. Just imagine what they will look like when you get your hands on them! The stunning beams in the living room and dining room can make a huge statement...with the right touch. And that kitchen! How do you feel about 23 cabinets and miles and miles of countertop space? Ok, maybe not miles, but it is enough to serve a feast and have room left over. Speaking of room, there is plenty of it in the backyard. The fence and deck need some love, but the space is definitely there. So, you&apos;ve got this great park across the street, a home that has a ton of charm that is ready to be put on display, and oh did I mention, they are building a another park a few blocks away and you&apos;re within walking distance of the Swamp Rabbit Trail? As of the listing date, this is the only home listed for sale in this price range in the Victor Monaghan community, so you have to go see this house NOW!